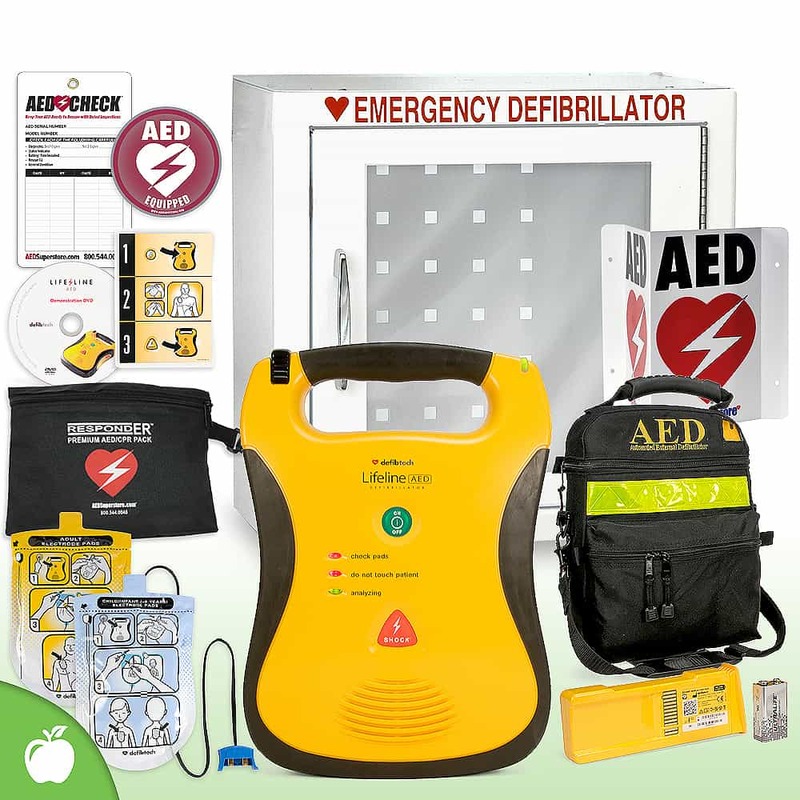 Defibtech Lifeline AED - includes adult electrode pads, high-capacity battery, 9-volt battery for self tests, and reference card. Soft Carry Case - Protect your investment with this rugged, soft carrying case for your Defibtech Lifeline AED. Pediatric Defibrillation Electrode Pads - Reduces the energy level from the AED for patients aged 1 - 8, 55 lbs or less. 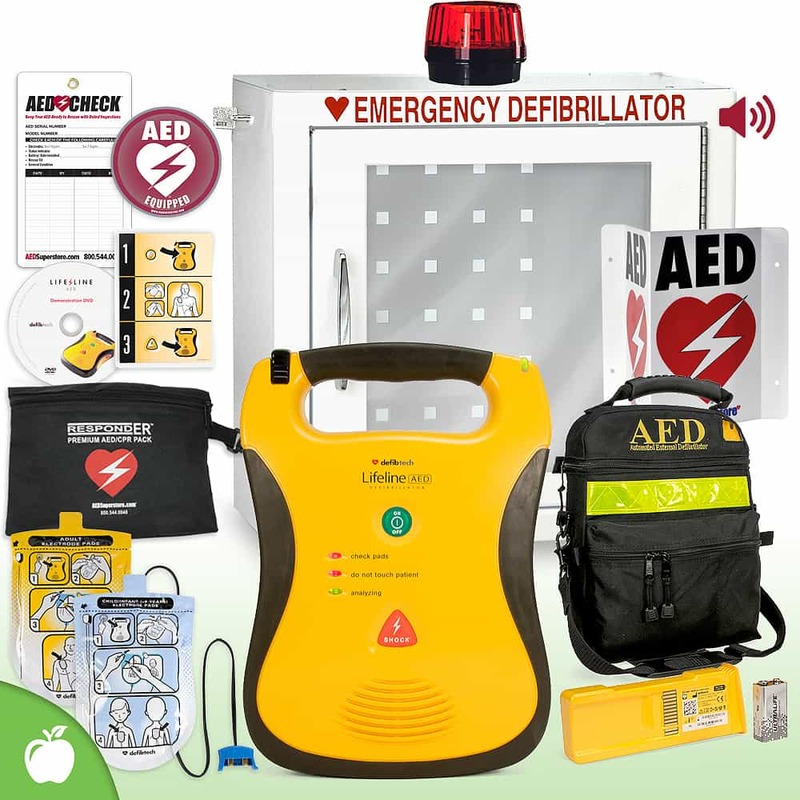 Unit Overview Video - Perfect for training or giving an orientation on the operation of the AED. After taking an EMT course and understanding better how serious V Tach and V Fib can lead into heart failure. We as a family owned retail store wanted to be prepared to help any customer that may suddenly develop these conditions.Remember February is Heart health awareness month show your customers and your retail support team you care. This was a perfect kit for my practice. It had everything I needed and would want packaged into a simple solution. Also, at a fair price.